Control of temperature, humidity and shrinkage in drying processes of bricks, tiles and ceramics. CeriDry correlates the evolution of humidity rate and air temperature with the shrinkage of bricks, tiles or ceramics while they dry. It also enables the acute evaluation of drying within two parts of the same brick or tile. A version with real time data by radio transmission is also available. This option is a way of implementing a control of the process. 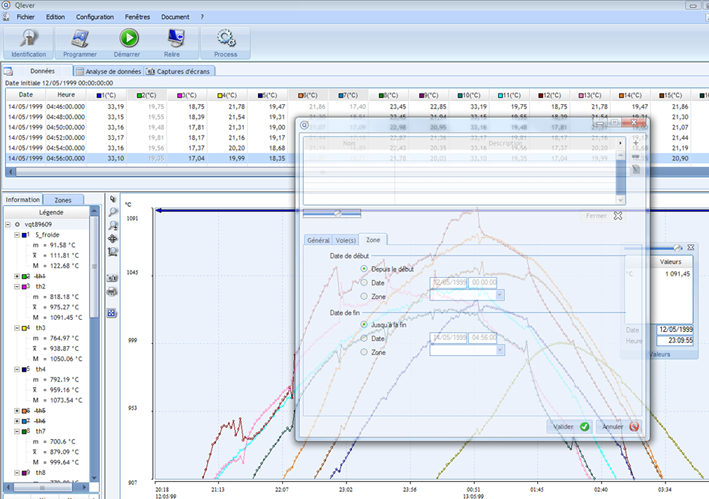 The data is read through TMI-Orion QLEVER software for acquisition, analysis and technical data management. The development was done in cooperation with an industrial group manufacturing equipment for ceramic manufacturing in order to satisfy the needs of these industries. Sending data in real time by radio. This device allows to consider a process control.